My hometown of Nashville, Tennessee is in the “diabetes belt” -- the region of the US with the most people living with diabetes. My Nashville neighborhood is pretty lively, with every flavor and all walks of life. But the closest “whole food” organic grocery stores are 8 miles away... So, my family shops at a local grocery, which has one aisle of pricey, cold-pressed juices, gluten-free, soy-based, and organic foods. The other aisles are filled with cheaper, processed, less nutrient-dense foods. Unhealthy Foods: How much do they really cost? Foods and beverages with more sugar, artificial sweeteners, and refined carbohydrates lack the nutrients our bodies need. So, we need to eat and drink more of them to be satisfied. Any money saved by eating cheaper and less nutrient-dense food is offset by the greater amount we end up eating to feel full. Eating processed, sugary, high carb foods puts people at risk of type 2 diabetes. For people with diabetes, eating these foods raises A1c levels, and, over time, could lead to costly hospitalizations and complications. Consuming sugary foods and beverages causes weight gain. Weight gain can negatively affecting your mood, feelings of self-worth and motivation. This can lead to strained relationships, causing people to retreat and not achieve their full potential in many areas of their lives. The quality of life cost is huge. And, it seems like the sugar industry has spent years doing it's best to convince you that sugar won't cost you your health. A 2013 Harvard School of Public Health study found that eating healthy foods (fruits, vegetables, fish, and nuts) costs about $1.50 more per day per person than eating processed foods and refined grains (white rice, white bread). But this study didn't account for the fact that people who eat healthier diets report better moods, more satisfying relationships, more success, and better overall health and well-being. If this study had accounted for these benefits, I bet healthy eating would have proven to be a lot cheaper than the alternative. 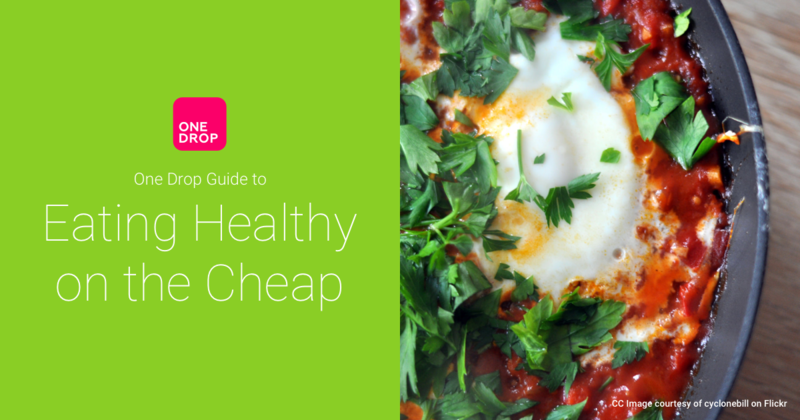 Eating Healthy Doesn't Have to Break the Bank!